This is possible in part because of the ubiquitous abandoned dark fiber, which runs under the streets of Detroit, as it does across many US cities, unused and dormant. 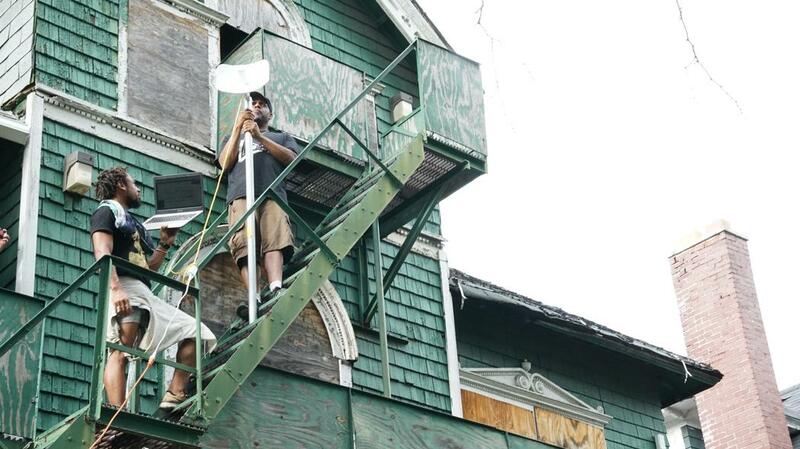 The project relies on "digital stewards" who undergo a 20-week training program that teaches them to pull fiber, configure routers, and install and service microwave antennas, as well as teaching their communities to use the services delivered over the internet. Each local mesh is designed to wire together a neighborhood on an intranet that would continue to function even in the event of internet outages, providing a resilient hub for organizing responses to extreme weather, natural disasters, and other crises. ...In a city that is rebuilding after a decade of economic turmoil, the internet can no longer be a luxury for the wealthy. Detroit’s renaissance won’t happen without each of the city’s diverse communities having access to the basic tools of modern work, education, healthcare, and communication. All of Detroit (or, certainly, more than 60 percent) needs access to the internet and the current structure established by Big Telecom hasn’t made this an easy goal.